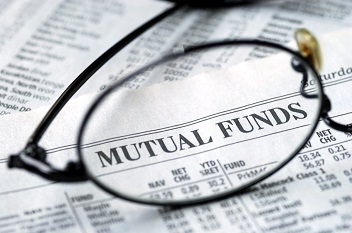 Have you invested in a mutual fund scheme but do not know how to evaluate its performance? Don’t worry, you are not the only one, because most of the mutual fund investors are as unaware as you are. Obviously, the first parameter of performance ought to be returns on your investment. If the fund has delivered good returns in terms of consistent and high dividend payment over the years as well as capital appreciation [reflected in its net asset value (NAV)], the fund has performed well. There are many mutual fund websites that compare the performance of various categories of funds over different time-frames, usually one, three and five year period. You can visit these websites and see for yourself how your fund is doing as compared to similar funds of other mutual fund houses. If you fund has performed relatively well over the medium to long term vis-à-vis other funds, you are in good company. A fund’s performance depends on the portfolio of its investments. Look at the fund’s top holdings and you will get to know why it has performed the way it has over the years. If the top holdings constitute large-cap stocks, the fund is likely to give stable and consistent returns. On the other hand, if the top holdings majorly comprise of mid-cap and small-cap stocks, then the fund’s performance is likely to be erratic and volatile. Also, if the fund’s top holdings have a sectoral bias, the performance would be linked to the performance of the specific sectors. You must know the investment strategy of the fund to be able to evaluate properly the performance of the fund. If you have invested in a growth fund that is aggressively invested in equities (say, up to 80%) and its exposure to debt instruments is low (say up to 15%), then your fund has a ‘high risk, high returns’ kind of investment philosophy. On the other hand, if you have invested in an income fund, it would adopt a conservative investment strategy and would invest majorly in bonds, government securities and other debt instruments (70% or above) and will have low equity exposure (20% or less). These two types of funds will have different risk-reward matrix and need to be evaluated differently. So, you need to first decide on your risk appetite, needs and goals of investment before you choose the mutual fund scheme you wish to invest in.